Every year, I carve out an hour, a bit of quiet and look at the last year. Some years it’s a great coffee shop. Some years, it’s at home with suitcases unpacked and kids popping up 3 times each. Tonight was the latter. Worthwhile (maybe all the more?) because of it all. If you’ve not had opportunity to pause and remember before launching ahead, and it sounds appealing, I thought I’d share some questions I’ve used in recent years. Don’t feel like you even have to choose to answer all the questions. Maybe pick 5 or so, and see what God might stir in you with those. 1. What activities made you lose track of time? 2. For what do you deserve a pat on the back? 3. Which areas did you thrive in the wheel of life? 4. Which areas did you struggle in the wheel of life? 5. If someone wrote a book about your life this past year, what kind of genre would it be? A comedy, love story, drama or something else? 6. Where and how did God work in your life this past year? 7. If you had to describe your 2018 in 3 words, what would they be? 8. What was your most common mental state this year (e.g. excited, curious, stressed)? 9. What were the 3 books that had the greatest influence on you this past year? 10. What was your favorite place that you visited in 2018? 11. What was your single biggest time waster this past year? 12. What was the best way you used your time this past year? 13. For what, or whom, are you most thankful this year? 14. What advice would you give your early-2018 self if you could? 15. What one thing would you do differently and why? 16. What did you think about more than anything else? 17. About what topics did you most enjoy learning? 18. How did your overall outlook on life evolve this year? 19. What was your favorite compliment that you received this year? 20. What was the most important lesson you learned in 2018? Credit to Paul Sohn for these questions. What was Simeon going about doing that day before he was moved by the Holy Spirit to walk over to the temple courts? Had he been amidst throwing pottery on a wheel to sell in the market tomorrow? Had he just returned home from a walk on a sunny Jerusalem day? Had he and his wife been locked in a conflict? Maybe the same mountain they’d circled numerous times in their long marriage? Even righteous men aren’t perfect husbands. Even devout men need a Messiah. Simeon and all of his fellow Jews were awaiting the consolation of Israel. Oh, the day when all would be made right. God perhaps coming as a messiah king with flowing robes, trampling the Romans as He did, finally freeing His people? Whatever he was doing that day, Simeon stops. He hears from God in a way that moves his feet. Does he remember the promise–oh, the promise!–that day, however long ago when it had been revealed to him by the Holy Spirit that he wouldn’t die before he’d seen the Christ, the Coming One. Does he know this prompting today is tied to that promise, or has he over the years learned that simple obedience to what God says is, truly, the best way to live? He sees a man and woman–both young and yet with eyes that seem to hold secrets–holding a baby and a pair of birds for the sacrifice for after delivery of a boy. What did Simeon’s brain register in the nanoseconds between when his eyes land on Jesus and the confirmation that courses through his body like electricity. That’s a…I was expecting…not…so little…a…baby? In seconds, Simeon closes the distance between him and this Promise. Did he even sprint, even though culturally shameful for older men to run? How could he not? How could he do anything but take 7-week-old* Jesus in his arms and praise God? *7 weeks or, more accurately 41 days, because of Leviticus 12:8 that states how many days before circumcision occurs and then how many days after that for a mother’s purification before the baby would be brought to the temple for dedication. Picture this little guy, below, our Joshua about that age. Now, just picture a Middle Eastern Joshua. This is the age you receive real smiles from them, engaging eye contact. Oh, Simeon! How did his weight feel in your arms? Holding the One so long awaited? The One who made the heavens and the earth? And I can imagine how you looked on Jesus. But I’d love to know this: how did Jesus look at you? And Jesus and Mary stood there mouths agape, I picture, marveling. Not understanding…yet…understanding. Did all the world stand still for them? Even if their ears were ringing, almost like the first sign of a faint about to fall on them, still they heard Simeon speaking over their son. This stranger with their son in his arms blesses the young parents, confirming that the angels speaking to them, the star, the shepherds, all of it…it wasn’t a dream. Then Simeon turns his gaze to Mary. Before Mary can even begin to digest those words of prophesy, an old widow named Anna bursts into their holy gathering. Her presence was likely more striking because of her joy and solid hope in God than the wrinkles of her 84 years. Her husband had truly become the Lord all these years, after only having been married 7 years, even as she lived at the temple. And so it’s the old woman who is the first evangelist. She thanks God and then begins proclaiming the good news of this young baby “to all who were looking forward the redemption of Jerusalem.” Can you picture it? Excited and confused voices, mixed with the sounds of animals to be sacrificed–lambs and birds–ricocheting off the stone walls and floating up into the heavens. I can picture Anna and Simeon waving people over with a youthful zeal not matching their age. Come see! Come see! Does a crowd gather? Who can make out what this all means? At the center is an old man, an old woman, a young man, a young woman, their sacrifice, and the Sacrifice to come–a grinning and cooing 7-week-old. Have you ever tried to learn a new language? My German in high school and college seem like a long time ago, but even today I can recall the joy that would surge when something clicked. Oh! I get it now! That’s how I felt as I took a 4-week seminary class this summer for continued development as a Cru missionary. The class was Biblical Interpretation & Communication. As things began to click for me, I kept thinking, I want to tell our friends about all this! There is more to share than space allows, so I’ll share what books and truths most affected me and pray they encourage you. 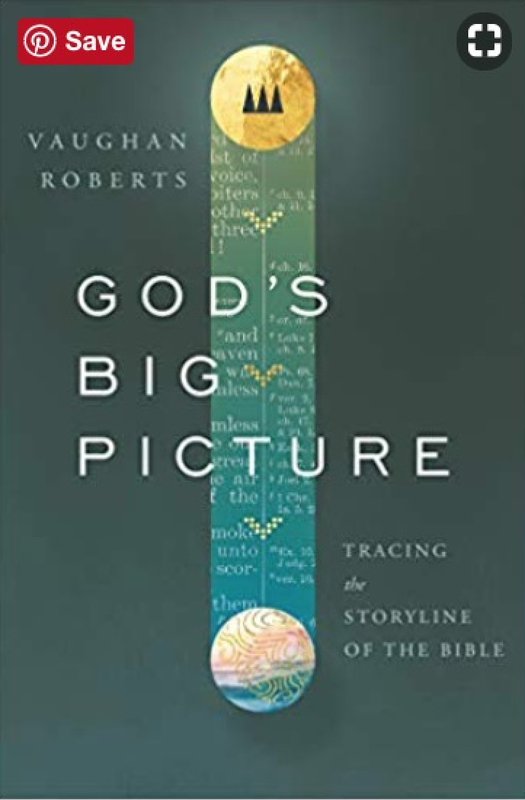 A fresh gratefulness washed over me as I was reminded of the big picture of the Bible and God’s incredible redemptive storyline revealed in it. Can I be honest and say that I finally felt like—after 30 years as a believer—more than a few of the pieces of history of Israel were jumbled and confused in my mind. 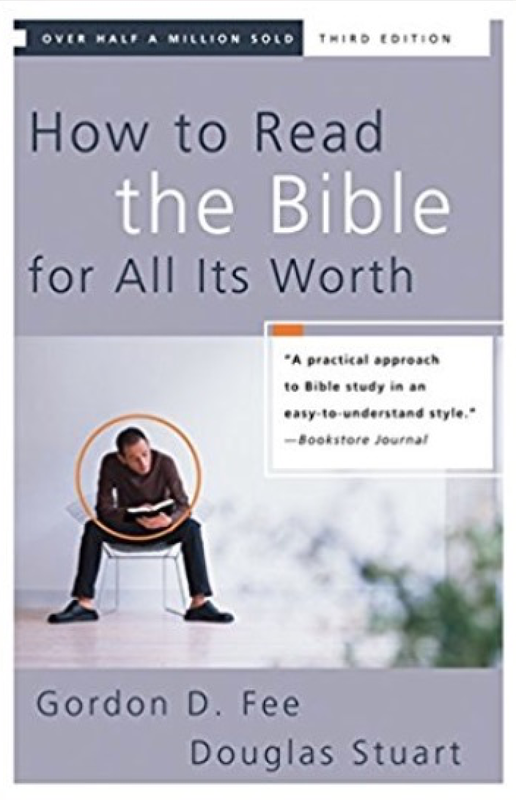 God’s Big Picture and How to Read the Bible for All It’s Worth gave me gift of putting the pieces all together and in a 30,000 foot view that was so helpful and awe-inspiring! As I prayed and processed what I was reading, I found incredible relief in this truth. I don’t have to squeeze and tug and pull a biblical man or woman (especially in the Old Testament) into a place of character they don’t possess. I don’t have to explain away their sin, poor choices or lack of faith. Even on their best day they fall short. Here’s what’s wonderful—they point to a better One coming. They show our need for redemption, which is ultimately ours in Christ. The One who would be perfect. Thereal hero. The better Adam. A better Abraham. A better David. They give us mini-tastes of redemption, which make us hungry for Christ. 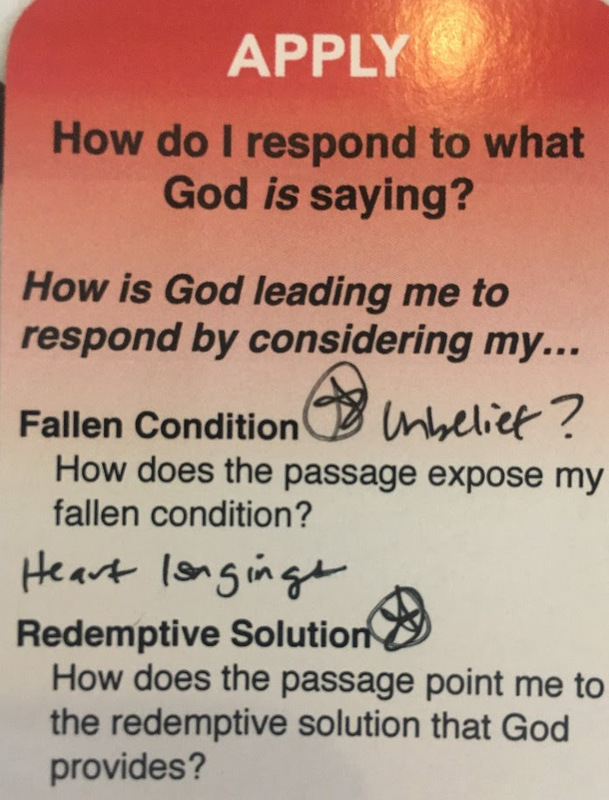 These two questions (above) have absolutely changed how I read Scripture. It’s like I have new grace goggles as I look at the Word. What does this tell me about the nature of God who provides redemption? Our greatest need before salvation is the gospel. And our greatest need after becoming believers is…the gospel. May we be encouraged today as we read the Bible to see how great is our need (our fallen condition) and how great is God’s grace (redemption)! What exactly does Angie do? Have you ever been told you did something well only to dismiss the compliment, saying or thinking it wasn’t a big deal? Heeding that compliment is a powerful way to catch a glimpse of your strengths or gifting by God. What comes easily to you often doesn’t come easily to others. For followers of Jesus, we see that in 1 Corinthians 12. We’re all part of the Body of Christ, specifically and intentionally created with the roles He has in mind for us. Did you know that missionaries can benefit from understanding better who they are, too? As I’ve gotten older, I’ve realized that God made me to identify needs and launch solutions with the heart of a recruiter who loves to connect people. And so I’m thrilled for this next dream God has stirred in my heart and now birthed. I’m available to help moms (Cru missionaries and those moms who are applying to join the ministry) see themselves with fresh eyes, looking at how God made her and what ministry is a good fit for her giftings and strengths. This is exciting to me because when a person focuses on living out of her strengths, I’ve seen how everything and everyone benefits: the person, those around her (because of the joy produced) and, in our case, the mission moves forward because of her contribution. Isn’t it amazing how God made us to need to invest ourselves in others? And also, others (people and the Church) do best when we invest in them. A little team of us are beginning to meet one-to-one with Cru moms as they 1) move into Orlando from overseas or somewhere else in the U.S. or 2) are moving from one stage of life to another (maybe their kids, like mine, are now in school a bit and they’re looking to see where they might serve with some freed-up time they now have) or 3) those moms who are amidst an application process with her husband to join Cru. Praise that God is moving and we get to be a part of Him working in the lives of missionary women for their benefit and for the lives of others they’ll touch! (tomorrow!) Tuesday, Nov. 14th, I’ll have 15 minutes to speak at a women’s event, sharing some of my vision for this new ministry and extending an invitation for women to put their name down to meet with Lauren (photo above), myself or someone else on our team. That God would continue to add more “coaches” to our team who walk women through the process of helping them find a good fit for them in ministry in their season of life. What exactly does Scott do? Ouch. That would be a total of seven days without power for Jamie and his family. He’s thankful for God sparing their property from damage, but the power outage is a significant disruption to his family. When I (Scott) think back to my conversation with Jamie, I can see some parallels in his situation and what my team does for Cru. Yes, we create elaborate contingency plans in case the worst happens (e.g. Hurricane Irma knocks out our headquarters’ power for 3 days). But, what my team strives for is rarely noticed. Just like power or a/c is rarely noticed by the average Floridan or Houstonian or Caribbean friend…until we don’t have it. My team exists to help provide stability and dependability for Cru to operate and communicate effectively. Why? We do this in order for the gospel of Jesus to go forth around the world. Reliable computer network for our on-site donation systems (which processes the financial gifts which provide for our missionaries all around the world). Cru has an ambitious goal of reaching 10 million multiplying disciples by the end of 2020, in order to reach the 5 billion who have never tasted the goodness of Jesus Christ. My role as a network engineer brings leverage to this vision, enabling the ministry that God has given us and Cru to continue fruitfully. All so that people can hear about Jesus, wherever they live. It’s post-Irma life ’round here. A friend recently commented about fall decor she’d seen up and my face registered shock. What? It’s fall? Oh, somehow I’ve missed September. So, deep breath. Kids back in school. Hurricane items almost all put away. And it’s time for my bi-weekly post for our weekly book club. Ha! I loved the honesty Jessica wrote with last week in her comment about chapter 1 of Just Show Up. What I’m learning about showing up is similar–it’s not just about the logistics of how to love and serve a friend. Rather, it almost seems a bigger part of all of this is God exposing my own heart to His great care, making me more like Him and how He loves. If you’re just joining us, here’s what we’re reading. Here are a few of my favorite parts of chapter 2. My big a-ha came on page 43: “One friend wanted to come [and visit Kara now that she was being moved to hospice], but she didn’t know when she should or how to best show up. Kara and [her husband] are being bombarded by offers of help–and they don’t have the ability to answer everyone or make all those decisions. After this friend prayed about it and sought counsel, someone advised her to stop asking the ones suffering to make a decision. Instead, she made plans, finding her own transportation and a place to stay outside of Kara’s home. Then she told them, ‘I’m coming and I’d love to see you. But if it doesn’t work out, I understand. '” Cue goosebumps. What a wonderful perspective and GIFT! The friend was loving Kara by not putting more burden on her friend and open-handedly offering a visit. What about you? I’d love to hear what you’re chewing on from chapter 2. What thought(s) struck you as new or surprising? Any question come to mind as you were reading? How was it to answer questions 1 & 2 on page 31?